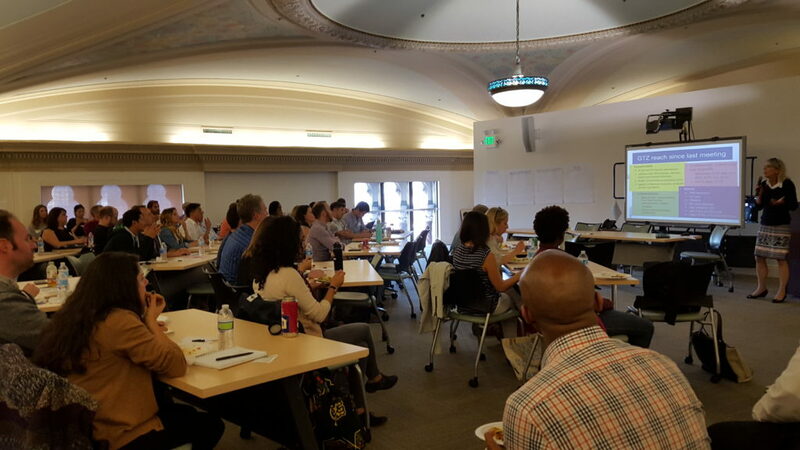 The Getting to Zero SF Consortium gathered September 22 for its quarterly meeting of members. It was the largest turnout yet with over 70 people in attendance! In addition to updates from the GTZ committees, Dr. Susan Scheer presented data from the 2015 HIV Epidemiology Annual Report and Dr. Hyman Scott moderated an engaging and poignant panel discussion on HIV navigation. Thanks to Robert, Nora, Naomi, Allison and Nora and to all who attended!